I have so many FREE magazines I collect over time. I need to find crafty projects for them! 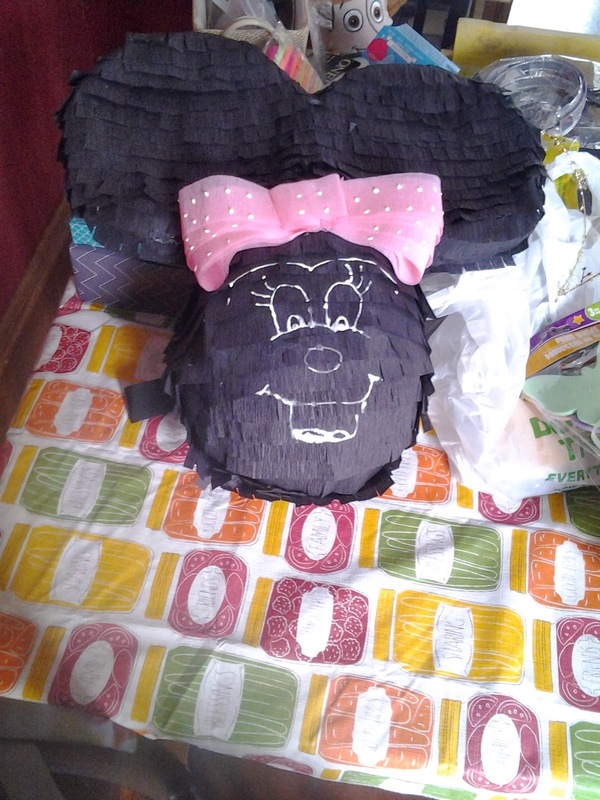 So when we were sent the Disney Party kit I thought what a great time to break some out and make piñatas! I also have made a car before check that out here. I taped two plates back to back for the ears. Then blew up a balloon for a face. Mac also helped by coloring the plates. Then we securely taped this all together. Then the fun starts. Add some water into a cup and pour glue into it. Mix well. 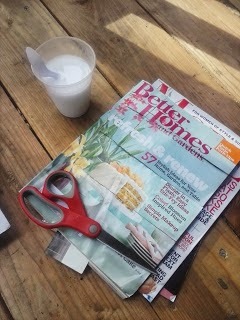 Cut three strips into each magazines. I just go ahead and cut my stripes a head of time. 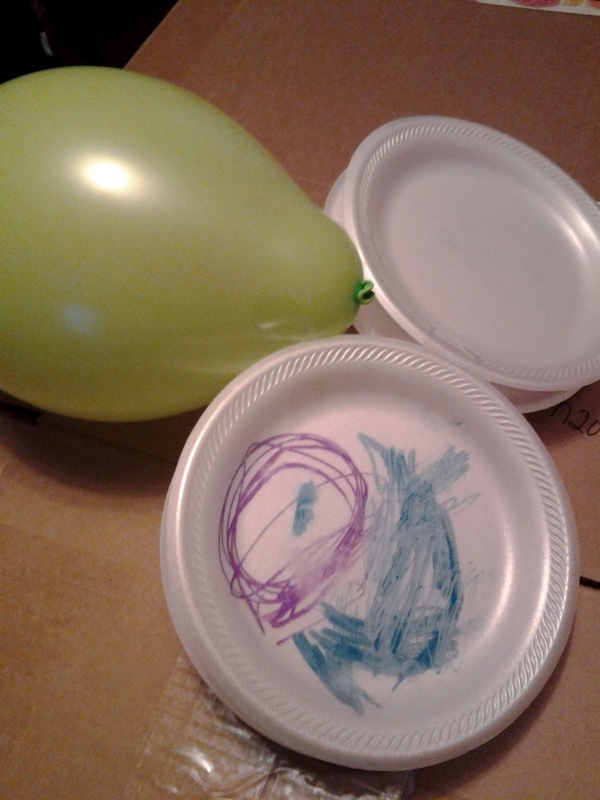 Then dip your strips of paper into the water mixture and place onto the balloons. 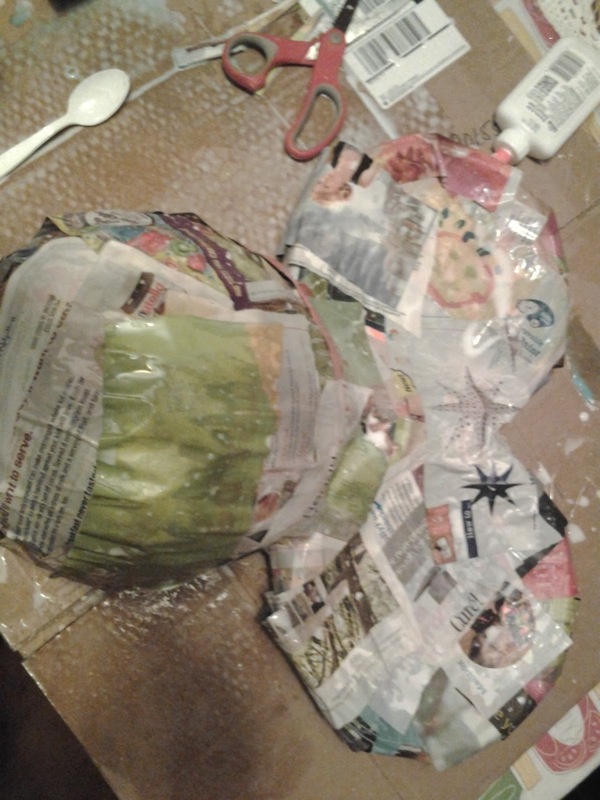 Paper machete is fun but it can be rather messy so I did this onto a cardboard box for easy cleanup! Let these dry for a couple hours. Turn over and do the other side. You don't have to be perfect because the errors will be hidden. Slice small cuts half way up streamers and then glue them onto the dried piñata. I always cut and do rows at a time to help with placement and because glue can stick everywhere if you are not organized. For Minnie I simply used a glue paint and added her face. I also glued some pink streamers on for a bow. 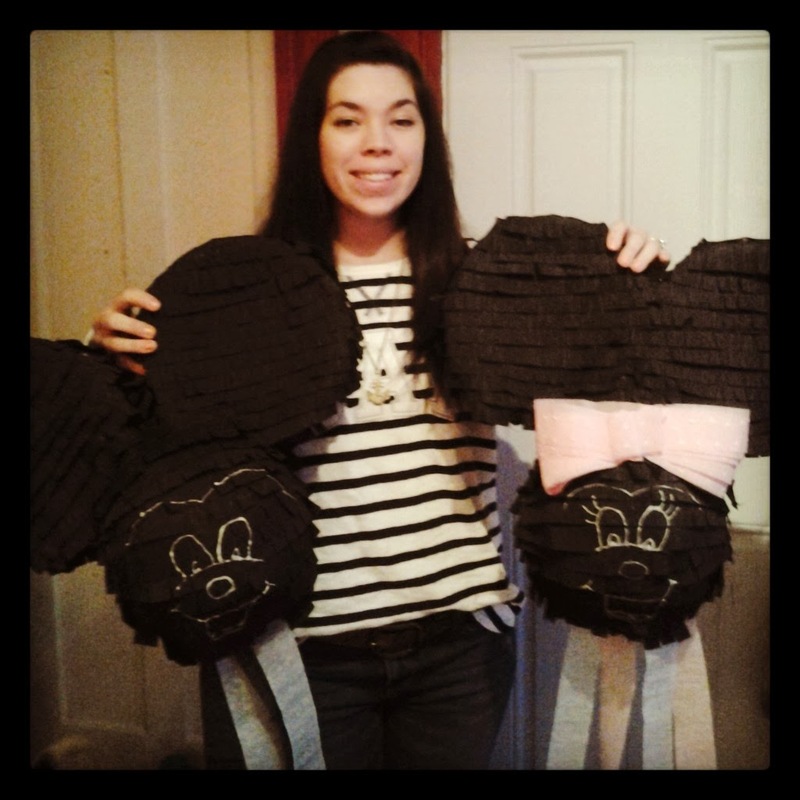 Add a place to hang them and your piñatas are made! How cute! I love how the piñatas turned out!